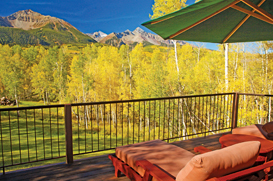 Other opportunities for a gentler, more relaxed pace of life can be found in communities only 10-30 minutes from Telluride and Mountain Village. Historic cattle ranches and century old Historic Victorians coexist graciously with newer estates in the fertile valleys and mesas. Nowhere else in the west will one find 50 to 2,000 acre parcels with more profound views, abundance of wildlife, all with proximity to culture and recreation. Whether you’re a full time or part time resident, the Telluride region offers something to fit everyone’s tastes and budget.